Again, no add ons installed. The default F-16! I do not fly the P3Dv4.3 F16. Considering that you have replied already a few times in this thread, this is a rather strange post. It takes less than a minute to test. At least I've learned my lesson as I will not make the error again to post screenshots upon a request from non-LM staff. I set up FSUIPC to fly the LM F16 for a short test circuit ending with an ILS / visual approach to the check the HUD during touchdown / landing. I seen no problem with the HUD in flight or during landing / roll-out (screenshots). 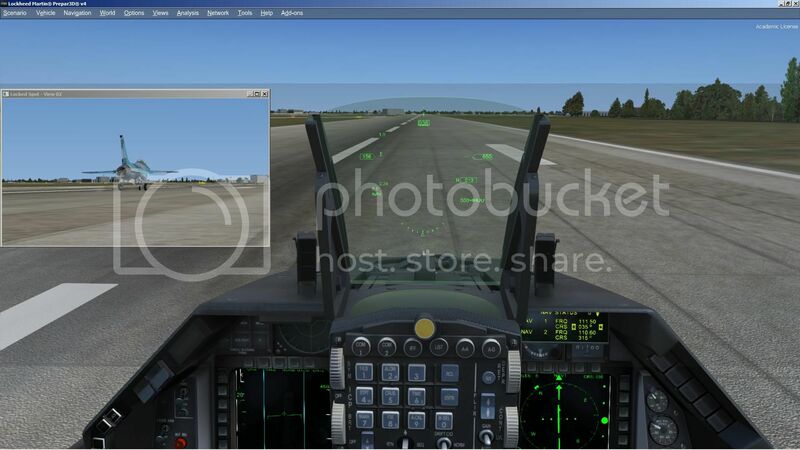 So, my test with the default LM F22 and F16 are ok with the HUD display. Also, I know this is stupid, but please double check your version p3dV4 (not using 4.2 as it is perfect) and you are indeed using 4.3. I will make a video the next time I re-install 4.3. Maybe this is not the case but I am using Windows 7 Ultimate (with a GTX 1080ti)... 1050E are you also using Windows 7??? Marty, you said you have no issues with 4.3, are you using Windows 10 ??? 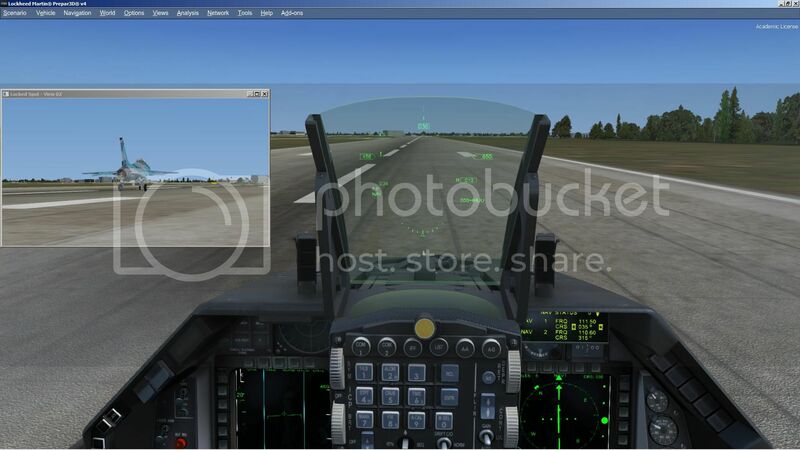 I seen no problem with the F16 HUD in flight or during landing and roll-out. Can you tell from my screenshots when all wheels are on the ground? When you land how do you tell when all wheels are on the ground while watching the HUD? Can you tell from my screenshots which version of P3D I am testing with? Are you going to test with P3Dv4.3 today? Why not do a HUD landing video of your current P3D install so we can compare it to the video you will do of the same landing in P3Dv4.3? I installed the 4.2 client and things are back to normal, so I am going to wait until 4.4 is released. If for some reason I re-install 4.3 I will post a video. I guess 4.3 is no problem for people if they are not picky about the HUD flickering out for a split second. It's easy to overlook and maybe not an issue at all. Could you reply to my previous questions? Last edited by sfm50 on Sun Aug 12, 2018 7:25 pm, edited 1 time in total. 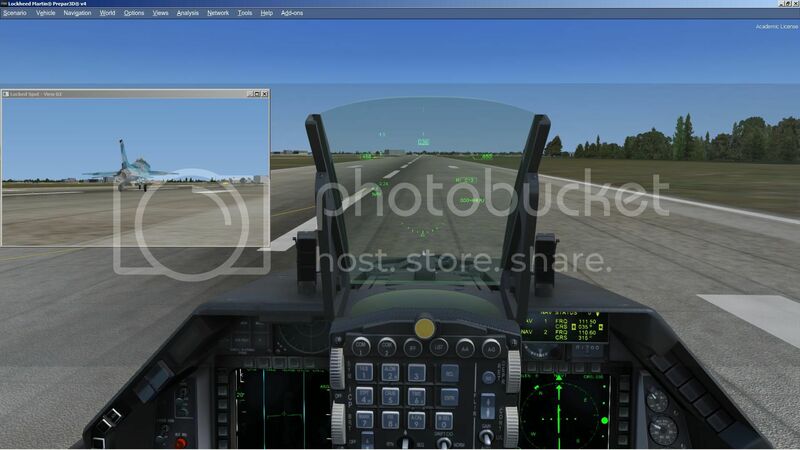 When you land (your approach) how do you tell when all wheels are on the ground while watching the HUD? My HUD did not flicker . And. I had two views in my screenshots during landing and roll-out. My screenshots show the wheels ... mains and lastly nose. Your videos of P3Dv4.2 and P3Dv4.3 should show what is happening. I re-installed 4.3 and will be posting the video shortly - stay tuned! I have also been testing the C130 (in this forum) which is new to P3Dv4.3.